Thank you for placing an order on FlyMasters.com. We ship via USPS, UPS and FedEx. Free shipping is via best way which generally means USPS First Class for small lightweight items and USPS Priority Mail or UPS Ground for orders containing larger items. If you need your order more quickly or have a special request please contact us at 317-570-9811 during normal business hours before submitting your order and we will do our best to accommodate your request. Ground orders received by 12:00 PM Eastern time on regular business days are delivered to the carrier within 24 hours and often more quickly. Expedited orders received by 12:00 PM on regular business days (Monday through Friday, excluding holidays) will be shipped that day. Orders placed over the weekend or on holidays will be shipped on Monday, or on the following business day if Monday is a holiday. We will let you know if we expect a delay for any reason. Again, if you need your order more quickly or have specific requests please call us before placing the order and we will do our best to get your items to you when and where you need them. 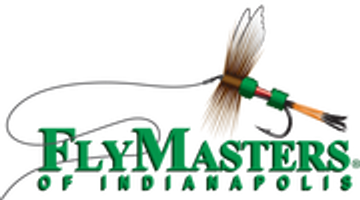 To make sure you pay the lowest price possible when shipping overseas, FlyMasters ships all international orders according to the best shipping method for your country. If you have a preferred shipping method please include this information during the checkout process. Because ideal shipping methods and prices vary from country to country we calculate international shipping fees manually once the order has been placed. After the actual shipping fees have been calculated we will send you an email, with the order total including shipping costs for you to confirm your order. International orders are not subject to U.S. taxes. However, it is likely that import duties will be applied by the country to which a package is shipped. The buyer is responsible for payment of applicable duties, taxes & other fees. Please contact your local customs officials to be sure that you understand the duties, taxes & fees that may be applied to your order. Please be aware of any policies (including taxes and the right to open and inspect) that the destination country has regarding packages arriving internationally. Marking international shipments as a gift, a sample, and/or showing a lower purchase price than the price that you paid is illegal under U.S. law and the laws of the country to which a shipment is made. We can not jeopardize our export license and risk fines and/or jail sentences. We will not engage in this practice. Thank you in advance for your understanding. All requests for postage/shipping refunds due to late deliveries are subject to a US$50 non-refundable processing fee. Payment must be received prior to application for any refund. We will use "best efforts" to get a refund. No postage/shipping refunds are guaranteed. This processing fee is not refunded for any reason. The processing fee is waived for lost/damaged shipments. If you live overseas but will be visiting the United States we can ship your order to where you will be staying. Please include this shipping information during the checkout process and we will contact you to make all the arrangements for the shipping of your order. FlyMasters.com will occasionally offer free ground shipping on in-stock items for certain orders shipped within the United States (i.e. Orders of $50.00 or more, orders placed on Fathers Day, etc...). Our free shipping offer(s) apply only to items we have listed on the e-commerce portion of our site. This offer excludes some items which are particularly heavy, oversize or require special care (large artwork and one-piece rods, for example). If there are any questions regarding the shipping policies of this website you may contact us using the information below. You can use our 'Contact Us' form on the website.